Ribs are a favorite in my family. The one challenge with barbecuing ribs is the amount of time and attention they take to properly cook. 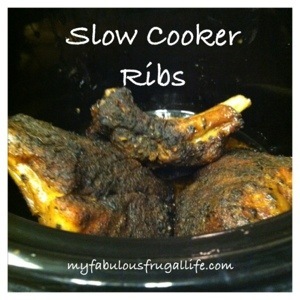 This slow cooker recipe is the most delicious, mouth-watering, falling of the bone ribs you will ever eat! 1. 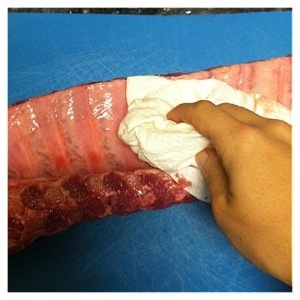 Rinse and pat dry ribs with a paper towel. 2. 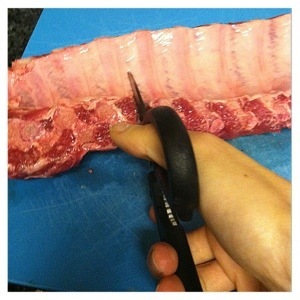 Cut into even sections of 3-4 ribs and set aside. 3. 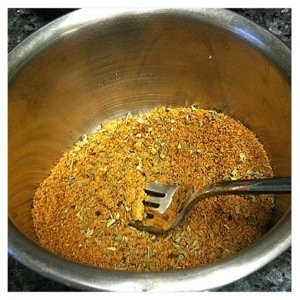 Mix together all ingredients for dry rub and rub on meaty side of rib sections. 4. Place sections of ribs into slow cooker with the meaty side facing in, bones touching and facing the sides of the slow cooker. 5. 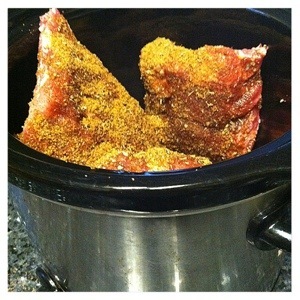 Set slow cooker to low and cook for a minimum of 8 hours. 6. To serve, carefully remove from slow cooker and place on a foil lined baking sheet. There will be a large quantity of rendered fat in the bottom of the slow cooker, don’t be alarmed when you see all of the fluid! 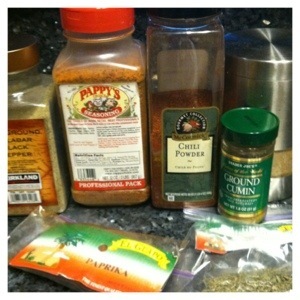 Broil for 5-8 minutes. 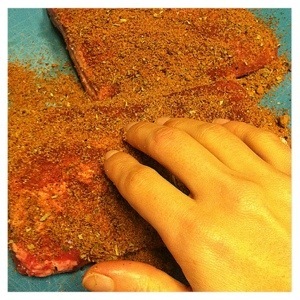 The rub gives the meat a great smokey flavor, barbecue sauce is optional. Everyone I have ever served these ribs to absolutely loves them! My dad, husband, and brothers are barbecue aficionados and they think these are the best ribs! People are always surprised they weren’t barbecued. 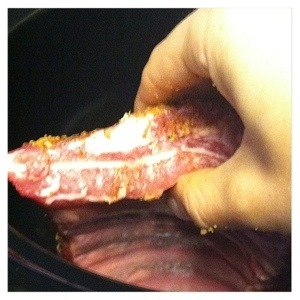 Try this slow cooker rib recipe, you won’t be disappointed.